The Governor is projecting FY 2020 overall revenue growth to be 2.9 percent or just over $1 billion. This includes a 6.9 percent increase in gross income tax revenues to $16.4 billion, 4 percent growth in sales tax revenue to $10.5 billion, and 13.3 percent decrease in corporation business tax revenue to $3.2 billion. As part of the budget proposal, Governor Murphy also published revised revenue estimates for the current fiscal year. Total FY 2019 revenues are projected to increase over $300 million, which includes a $400 million decrease in gross income tax revenue, a slight decrease in sales tax revenue and a nearly $700 million increase in corporation business tax revenue (pgs. 30-31). The budget proposal includes a provision which would extend New Jersey’s current 10.75 top gross income tax rate, which is currently applicable on all income over $5 million, to all income over $1 million. The change is projected to generate $447 million (pg. 35). The FY 2020 budget proposal includes a Corporate Responsibility Fee, which would apply to all employers that have more than 50 employees who are receiving state Medicaid benefits. The proposal would implement a $150 fee on each employee covered by Medicaid, which is projected to raise $30 million (pg. 33). During his address, Governor Murphy proposed continuing $100 million in funding to fight the opioid crisis in New Jersey. In order to provide the resources for this program, the Governor proposed increased fees or assessments on opioid drug manufacturers and distributors (pg.24). Governor Murphy’s FY 2020 budget proposal includes over $1.1 billion in savings. The majority of these savings are derived from changes to government employee benefits. The Governor’s administration has reexamined how health benefits are delivered to identify savings through increased efficiencies, audits, and reforms. The administration plans to extend these strategies for health benefit plans across state agencies and authorities to maximize potential cost reductions. An additional savings of $212 million was generated through government efficiencies and reduced operating expenses at various state agencies. Additionally, the Governor’s administration maximized almost $250 million in federal revenues, which included optimizing state Medicaid expenditures across the departments of Human Services and Children and Families (pg.11). The budget proposal includes funding for a $2 billion State Transportation Capital Program. The program includes over $1.2 billion for state and local highway and bridge projects, and another $760 million for transportation projects. Additionally, the program will be supported with $729 million in pay-as-you-go funding. During his remarks, Governor Murphy proposed a General Fund appropriation of $407.5 million for NJ Transit, a $100 million increase over FY 2019. The budget proposes replacing a $50 million diversion from capital reserves and a $25 million diversion from the Turnpike Authority, while adding $25 million in new funding. This investment will further rectify past underfunding and help ensure New Jersey’s public transit system is once again reliable for commuters (pgs. 14-16). The FY 2020 budget proposes spending $15.4 billion on pre-K – 12 education, a year-over-year increase of almost $450 million. Additionally, there is a $68.4 million increase in pre-K funding. The Governor also recommended continuing the $2 million grant funding for the expansion of computer science education to help districts offer college-level computer science courses. The budget proposal also supports new investments to establish STEM-focused high schools that allow students to earn advanced degrees while preparing for the jobs of the future (pgs. 12-13). The FY 2020 budget proposal provides a total of $2.57 billion toward direct support of higher education and student financial aid programs. The Governor is also proposing a new outcomes-based funding formula for the four-year public colleges and universities, which includes the redistribution of $15 million in current operating aid and an additional $20 million in new funding. Colleges would be required to commit to the Student Bill of Rights, the Financial Aid Shopping Sheet, and other principles in the forthcoming state plan for higher education in order to access this funding. Governor Murphy also called for the expansion of his tuition-free community college initiative. Current funding of $25 million, along with an additional $33.5 million in new funding, is directed to help over 18,000 students obtain a two-year college degree or attend a community college. The funding would allow the Community College Opportunity Grant (CCOG) to be implemented at all 19 community colleges in both the fall and spring semesters for dependent students with 12 or more credit hours and independent students with six or more credit hours at an annual income threshold of $45,000. The Governor proposed distributing $262 million through the Charity Care program to all hospitals in New Jersey, while focusing the majority of resources to those safety net facilities that provide the greatest volume of care to the uninsured, relative to their total patient group. The proposal also contains funding for Graduate Medical Education (GME) at $218 million, and $24 million for Supplemental Graduate Medical Education. These funds are available to hospitals to train doctors, and encourage robust medical education programs by offsetting a portion of the significant costs associated with the training of New Jersey’s next generation of physicians. The FY 2020 budget also provides $166.6 million in state and federal funds for the Delivery System Reform Incentive Payments (DSRIP) program to help spur continuous improvement in the quality of care delivered to residents. This funding provides payments to facilities that are successful in achieving measurable improvements in specific areas such as disease management and quality of care (pgs. 22-23). The budget includes a $3.8 billion public pension payment, which represents 70 percent of the Actuarially Determined Contribution (ADC) and continues New Jersey on a predictable and fiscally responsible path to full ADC funding by FY2023. Additionally, the contribution would represent the largest single-year contribution ever. The state is also currently exploring ideas to maximize the value of various state assets, which can be dedicated to the pension fund. 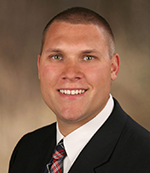 The State Treasurer recently issued a “Request for Qualifications” to evaluate state assets that can be used to lower the pension system’s unfunded liability (pg. 16). The FY 2020 budget includes $2.7 billion for active employee health benefits and post-retirement medical health benefits. Working with labor through the collective bargaining process, the state has undertaken a review of the way health benefits are delivered to employees and retirees to ensure the highest possible quality care at the lowest possible cost. This multi-pronged approach will result in projected savings of approximately $800 million (pg. 16). The FY 2020 budget proposal includes nearly $283 million in funding for Homestead Benefits, which will be used to lower property tax bills for hundreds of thousands of New Jersey homeowners (pg. 4). The Governor’s proposal also provides funding for year two of a three-year phase in to increase the Earned Income Tax Credit (EITC) from 35 percent to 40 percent of the federal benefit. The FY 2020 budget proposal allocated an additional $30.2 million, and when combined with the existing credit, will help 513,000 taxpayers. Additionally, the Governor proposed continuing the child and dependent care tax credit, which was implemented last year (pgs. 25-26). *$82.1 million diverted to NJ Transit. The Governor’s proposal reduces diversions by cutting the Clean Energy Fund diversion nearly in half, allowing $71 million to remain in the Clean Energy Program (CEP) to support its intended purpose. Please stay tuned for additional budget-related updates, as I plan to keep everyone informed as the budget process continues. The FY 2020 budget must be passed by the State Legislature and signed into law by the Governor by July 1, 2019. 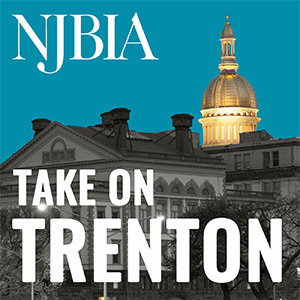 To learn more about the complete FY 2020 budget proposal, please join NJBIA on March 12, 2019 to hear directly from NJ State Treasurer Elizabeth Maher Muoio. For more information, please click here.